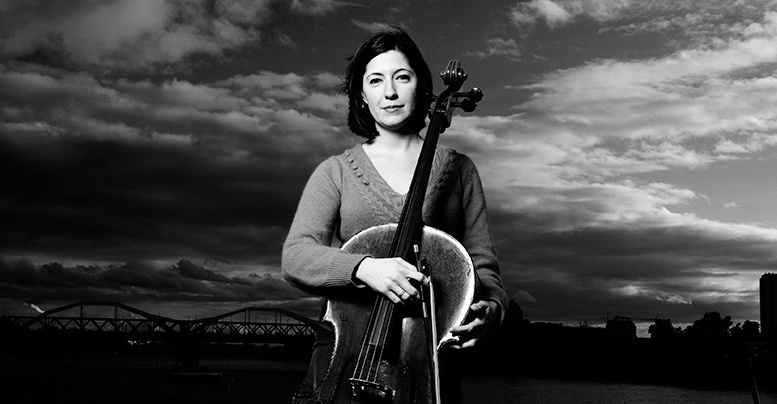 Katarzyna Polonek, born in Poznań, studied violoncello at the University of Music and Performing Arts, Vienna in Prof. Angelica May’s and Prof. Wolfgangs Aichinger’s class. She obtained her concert exam (Konzertexamen) at the University of the Arts Berlin in Prof. Markus Nyikos‘ class, having attended masterclasses taught by notable professors like M. Rostropowitsch, N. Schachowska, A. Orkisz, S. Firlej, M. Sadlo and Z. Nelsova. Katarzyna is an award-winning musician; her success comprises polish and international awards like the Grand Prix at the Kazimierz-Wiłkomirski-Competition, the 1. Prize at the International Cello Competition in Liezen, Austria; 3. Place at the International Johannes-Brahms-Competition in Pörtschach, Austria as well as the prestigious scholarship of the Herbert-von-Karajan-Center, Vienna. Katarzyna has performed as a soloist with many orchestras in Germany and Poland, recorded for the Polish State Radio and Television Service and performed at world-renowned festivals. Katarzyna works together with the Berliner Philharmoniker and the Staatskapelle Berlin; previously she worked with the Vienna Symphonic Orchestra and the Rundfunk Sinfonieorchester Berlin; she had the opportunity to play under the direction of conductors like Daniel Barenboim, Sir Simon Rattle, Marek Janowski, Ivan Fischer and Bernard Haitink. After she has finished her doctoral dissertation and habilitation, Katarzyna teaches as a assistant professor for cello at the Music Academy Poznań and leads masterclasses in Szamotuły and Opole among others. Her students go on to win first prizes at international solo and chamber music competitions.